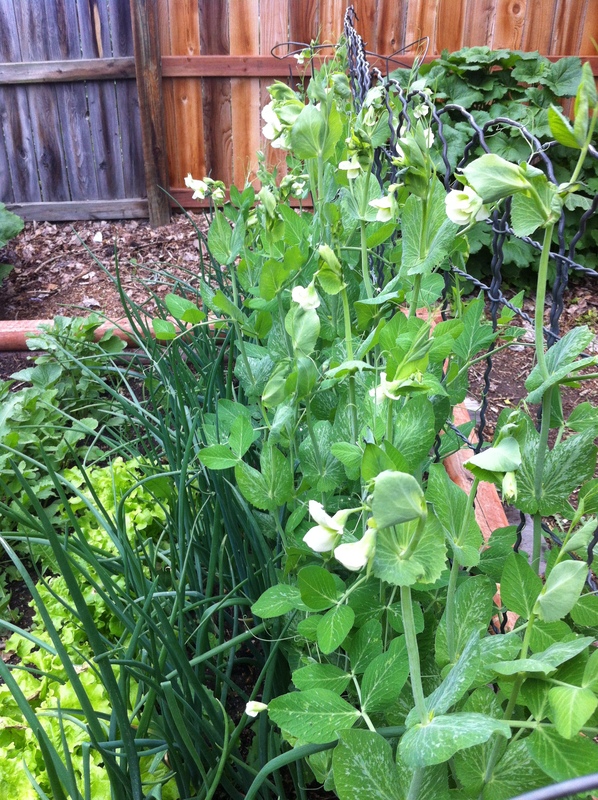 snap peas in full flower! inspired me to make this quick, lovely vegan salad. 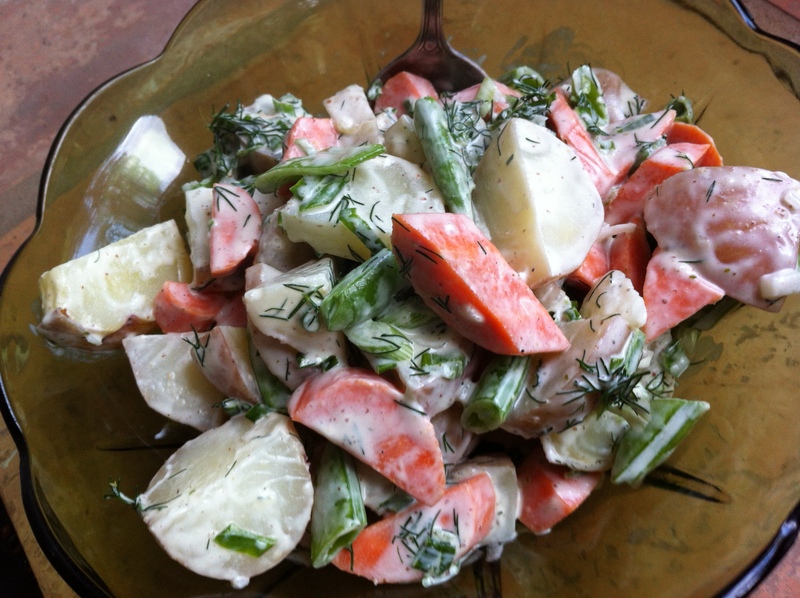 With a small, freshly pulled red onion and plenty of fresh cut dill, I was nearly set. These classic flavors are just perfect together. Potatoes are steamed until very tender, sweet carrots just a few minutes, so they still have a little bite, but can absorb the dressing too. And the sugar snap peas? They are left gloriously raw, crunchy and sweet. For my vegan dishes, I love dairy and egg free Vegenaise as a stand in for traditional mayonnaise. It’s light with very good flavor. And everybody has their favorite mustard. Wash and quarter new potatoes, or cut smaller as desired. Peel and halve carrots lengthwise, then cut into 1/4 inch diagonal pieces. Steam potatoes until just tender, about 15 minutes. Add carrots to steamer, and let steam about 5 -7 minutes more. Cool under running water, then place in large bowl. Rinse, de-string if needed, and chop snap peas. Mince scallion. Chop dill. Add to bowl along with Vegenaise, mustard, stir to blend. Taste, then salt and pepper as desired. Excellent room temperature – or chilled. 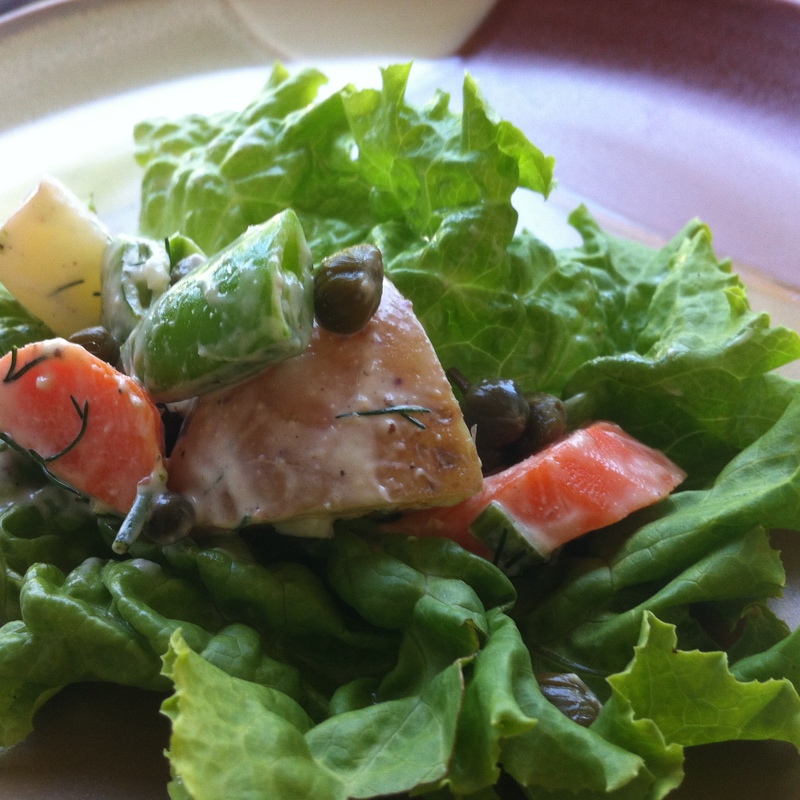 Scatter capers over top, if desired. Makes about 5 cups of salad.